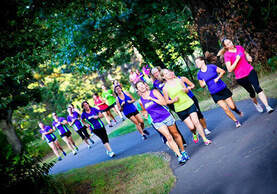 Our 18-week Signature Training Program offers programming for walkers to beginning runners to experienced runners. We offer 9 classes per week under this program (labeled with Signature Training on the calendar), each providing cardiovascular interval training for all levels, strength training and/or endurance training, stretching and education. 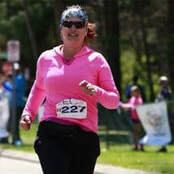 Our Learn to Run and Fitness walking programs will help you safely build up to your first 5k race. Our recreational and advanced running programs will help you maintain/improve your running fitness and support you as you take on your running/fitness goals. Walkers and experienced runners will be encouraged to follow an interval training schedule designed to maximize your fitness levels. Our Signature training endurance runs provide the option to increase mileage throughout the season for those training for longer races. 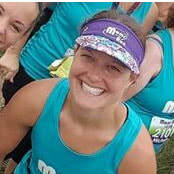 New this year, a training support group for Grandma's 1/2 and Full Marathon and the TC 10 miler/Marathon will be offered at no extra cost to our members through Moms on the Run, and will include training plans, accountability and support, and race day perks. Also, for those looking for extra cardio, but not necessarily extra running/walking mileage, we aim to organize cross training options (biking/rollerblading) for portions of the Sunday endurance runs as well! Walker or runner, you will start at your own level and progress throughout the season. All fitness levels and paces welcome! Classes begin Tuesday, April 23, 2019! We hope you can join us! *Central Location Runs will rotate among the following parks: Tyacke Park, Lac Lavon Park, and Crystal Lake Beach Park in Burnsville and Steve Mischaud Park in Lakeville. Occasional nearby alternative locations may be chosen for specific workout formats. Attend unlimited Signature classes per week (up to 9 classes offered per week throughout the session) - BEST VALUE! When purchasing a payment plan the first payment is charged at the time of registration and subsequent payments are charged on the first of every month. ​Our payment plans divide the cost of registration over a pre-determined set of months. Payment plans are not a month-to-month contract that can be cancelled, but rather a commitment to purchase the program in installments. Due to expenses incurred at the beginning of our season, we are unable to offer refunds or cancel upcoming payments for any reason after two weeks prior to the class start date. For more information on our refund policy please see our FAQs. Yoga and Kids on The Run are offered June - August. Yoga in the Park is included as an option for those enrolled in the Signature Training 18 Week Program, or can be purchased separately below. Restore & strengthen your body while taking in some fresh air and the beauty of nature. With a focus on breathing techniques, core strength, & flexibility, this is the perfect addition to your workout routine. *Yoga in the Park is included as an option for those enrolled in the 18 Week Spring/Summer Signature Training Program. For those that are interested in only Yoga, 5 visit punch cards or an 11 visit pass can be purchased separately through the Yoga Pass below. This program is designed for kids ages 5-12, but is open to younger children based on parents' discretion. Kids will stay active with a variety of running games. *​Discounts available for enrollment of multiple children and/or multiple days per week. Details on registration page. All classes are created for every fitness level and all paces. 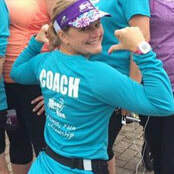 Our coaches are excited to support you in achieving your goals! Our endurance runs are a great option for those looking to add on some extra mileage. Routes will offer a variety of distances to accommodate mileage preferences and will be based on 1 hour class periods with options to reduce or add mileage as desired (Sunday runs will eventually extend to 90+ minutes for those interested in longer options, but shorter options will always remain available). Run or walk options at all classes, as will Cross training options of biking/rollerblading (equipment not provided). Our Learn to Run program will help you safely build up your running endurance, possibly working toward your first 5k race! Walkers and experienced runners, will be encouraged to follow an interval training schedule designed to maximize your fitness levels. 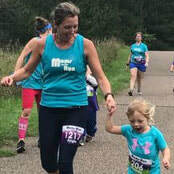 New form and education tips regarding running will be covered each week, and coaches will be there to guide, encourage, and support you along the way! ​This 60-minute class typically includes a 10 min warmup and running tip instruction, 30-35 minutes of coached cardio intervals (run/jog/walk) for all levels (run/jog, run/walk, Learn to Run intervals, and Fitness walking), 10 -15 minutes of strength training, and 5 minutes of stretching and education. Option of back to back interval classes available on Tuesday evening for those training for longer distances. Dive into nature with us as we explore various unpaved trails throughout the South Metro. Routes will offer a variety of terrain (grass, packed dirt, gravel,...) and offer a range of distance options to accommodate mileage preferences. Class includes 5 min warm up, 45 min on the trail, and 5 min cooldown/stretch. Run or walk options available. Learn trail running techniques and get ready to see some beautiful scenery! Get ready to mix up your running routine! Tempo run, progression run, pyramid run, ladders, lactate threshold training, Fartleks/speed play, caterpillar run, hill repeats, stairs...so many speed work options! A steady state run, walk/jog intervals and/or fitness walking are always options as well! If you are looking for a way to amp up the intensity, this is the class for you! We will start with 15 min of warm up from (dynamic stretching and 5-10 min of easy walk/jog), then we will dive into High Intensity intervals in the form of stairs, hills, or track repeats (will vary this weekly) in combination with strength and plyometric training. Get ready to push the comfort zone! energy and run at a faster pace before your muscles become too fatigued. We will perform a wide variety of interval patterns incorporating our threshold. Walk/jog intervals are always an option. This total body strength and conditioning class will offer compound strength and plyometric movements that are regressed or progressed to meet all fitness levels. You will challenge your comfort zone through using a wide variety of equipment designed to target every muscle group and increase overall body strength. With a focus on correct form, performing exercises through a full range of motion, improving balance, and reducing/eliminating muscle imbalances, this class will help take your runs to the next level this summer while aiding in injury prevention along the way! Our registration fee for the 18 Week Signature Training Program includes a free tank or t-shirt, but for a limited time get an extra tank, tee, or long sleeve pullover for a discounted price! Purchase in our online store and items ship free to your franchise location to be distributed during the first week of classes. Exact styles are subject to change. Colors may not appear accurate on your screen. Save 30% on tanks and tees with promo code 2019MOTRfit during registration only. 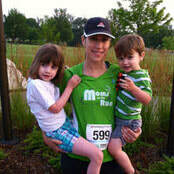 At Moms on the Run we love to stay active - no matter what the weather! We offer a variety of year-round programming to help you stay in shape and stay connected to our strong community of women. Our 8-week Fall session offers a wide variety of formats including Strength and Cardio Boot Camp, Trail running, Interval and speed work training, and Endurance runs. Enhance your fitness level by improving strength, muscle tone, endurance, speed and agility. Our signature 18-week training program lets you attend classes from 1 to 9 times per week. We strongly recommend choosing an interval class at least once a week, which includes a higher level of structure and support. From walkers to runners, women will start at their own level and progress throughout the season. Yoga and Kids on the Run options are available June - August.